Sergeant major Fred Hall won the Victoria Cross during the Second battle of Ypres in Belgium. Sergeant major Hall was born in Kilkenny, Ireland, on 21 February 1885. He is believed to have emigrated to Canada around 1910. On 23 April 1915, he was a company sergeant major with 8th (Winnipeg Rifles) Battalion, Canadian Expeditionary Force. The battalion was in action that day and after dark several men were missing. Under cover of darkness Hall brought in two injured soldiers. Then, around 9am the next day, aware that others were still out in no man’s land, he and two other men attempted to bring back more of the wounded. The two others were soon hit and returned to their lines. Hall attempted to rescue a man who was lying around 15 yards from the trench. In lifting him, however, they were both shot and killed. He was one of three World War I VC winners who lived on the same Winnipeg street. The others were corporal Leo Clarke of the 2nd (Eastern Ontario) Battalion and lieutenant Robert Shankland of the 43rd (The Queen’s Own Cameron Highlanders of Canada) Battalion. 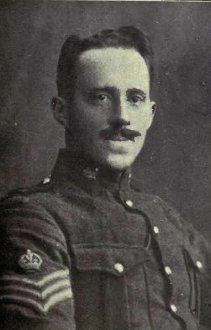 Clarke, who won his VC for taking around 20 German prisoners during a counter-attack, was killed in 1916. Shankland, who also won the DCM, survived the war. In 1925, Winnipeg’s Pine Street was renamed Valour Road in honour of the trio. This entry was posted in News and tagged 1914-1918, 1915, Canadian Expeditionary Force, Fred Hall, Second Ypres, VC, Victoria Cross, Winnipeg, Winnipeg Rifles. Bookmark the permalink.